IQS Directory is a top industrial directory listing of leading industrial vacuum switch manufacturers and suppliers. Access our comprehensive index to review and source vacuum switch manufacturers with preview ads and detailed product descriptions. These vacuum switch companies can design, engineer and manufacture vacuum switches to your specifications and application need. A quick and easy to use request for quote form is provided for you to contact these vacuum switch manufacturers and suppliers. Each company has detailed profile information, locations, phone number, website links, product videos and product information defined. Read customer reviews and product specific news articles. We are the right resource for your information requirement whether its for a manufacturer of pressure switches, vacuum adjustable switches, vacuum circuit breakers. Our vacuum switches come with unmatched quality. These proven systems are designed for comprehensive and value-added performance. Your satisfaction is paramount to the growth of our business which is why we work hard to make your experience with our company a positive one. If you have any questions then please give us a call and one of our representatives will speak with you! 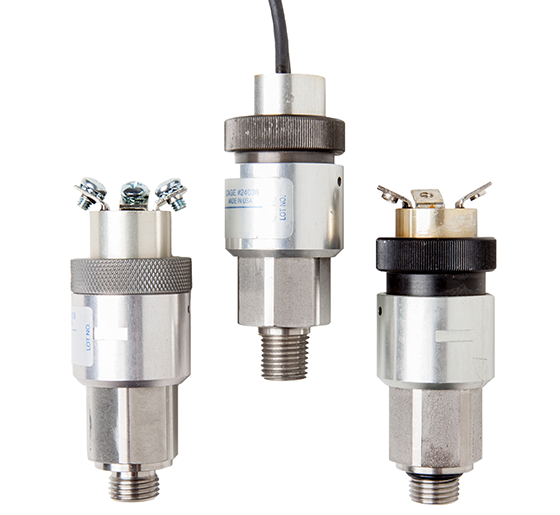 Since 1980, KOBOLD has been a leading manufacturer of high-quality pressure switches, vacuum switches, gauges and transmitters. KOBOLD brings to you 25 years of experience, excellent customer service and FREE technical support. Call today or visit our website for all of your instrumentation needs. Our highly trained engineers and sales team can find the vacuum switch that is perfect for you. We are great at anticipating your needs and you will not be upset with our vacuum switch products. These sophisticated and proficient items are great for OEM. We are flexible and we will work with you on your time tables. We promise to deliver your vacuum switches on time. It is our goal to be your worry-free provider. These items are made with polysulfone, polyurethane, stainless steel and more. Vacuum switches help regulate the pressure between two closed cavities by converting a negative pressure signal to an electrical output. As a safe and cost-effective alternative to safety relief valves, vacuum switches are able to work with gas, electric current and liquid pressure situations, individually or in a combination. In addition, pressure vacuum switches will detect when a problem, such as leaking pressure during operation, is happening and will shut down the process until the trouble is fixed and an operator restarts the operation. Corrosion-resistant and long-lasting, vacuum switches provide control stability through inconsistent conditions and assure continuous service even under extreme shock and vibration. 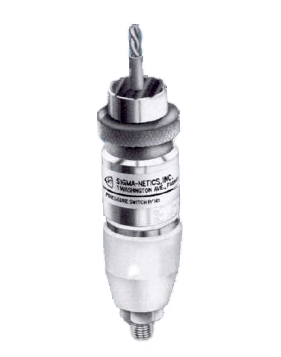 Often used to control and monitor various processes, vacuum switches are also commonly used in applications as an interlock device to sense gas, air or water pressure at a specific point, vacuum pressure switches provide on and off control of waste oil heating systems, residential boilers, electric heaters, pumps, small air compressors and transmission systems. Industries that utilize vacuum switches include food processing, aerospace, chemical processing, residential, industrial, commercial, heating and cooling, electronics and pharmaceutical. Automotive vacuum switches are the most common type of vacuum switches, and are used to regulate the flow of engine fluid. Vacuum switches respond to a change in negative pressure. If a change is signaled, an elastomeric diaphragm opens or closes an electrical circuit based on a predetermined pressure set point and activates the vacuums switch. The movement of the diaphragm actuates a single snap acting switch, a mechanical switch that causes a rapid transfer of contacts from one position to another. 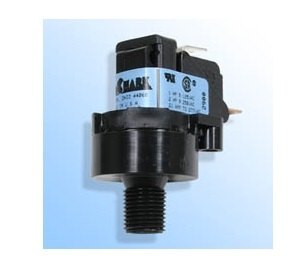 When actuated, the snap acting switch converts the negative pressure signal into an electrical signal. An elastomeric diaphragm eliminates the need for an oil barrier because they separate pressure instruments from the process media, while allowing the instruments to sense the process pressure. A vacuum switch is set to a certain point of pressure to which it will automatically respond. Field adjustable pressure set points allow the vacuum pressure switch to be calibrated to the correct pressure points for opening and closing the diaphragm. There are three main vacuum switch designs: mechanical, pneumatic and electronic. 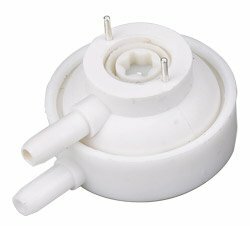 In the mechanical and pneumatic versions, an elastomeric diaphragm reacts to changes in the pressure level and actuates either a mechanical switch or a valve. In the electric version, a piezoresistive pressure sensor measures the pressure level and converts the level into an electrical signal. Construction materials vary depending on the applications and vacuum switches materials are wide-ranging including brass, polycarbonate, plated steel, glass reinforced polyester, polyvinyl chloride and cast aluminum. 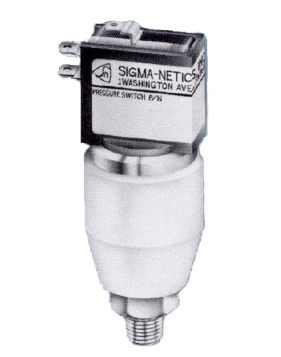 Vacuum Pressure Switches – Sigma-Netics, Inc. 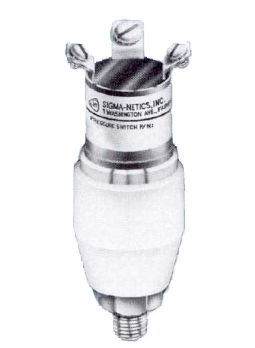 Vacuum Pressure Switch – Sigma-Netics, Inc.